Colourful Semantics is about giving each type of word a colour, Communication in Print symbol and a Makaton action. 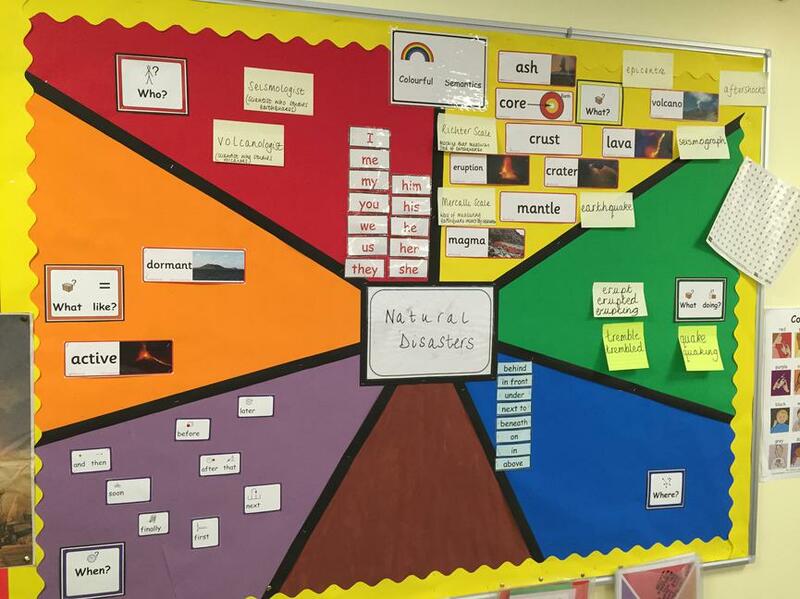 This helps to categorise, group, structure and organise thoughts, research, sentences and speech. We then teach vocabulary based around each of our topics to help the children to learn and remember them. See the link below for more information, although do please be aware that we have modified the programme slightly, with adjustments in the colours used. The principles remain the same though.